The plan for today was to see a Great Grey Shrike, there were a few around so hopefully we'd managed it! The first stop was Staines Reservoir - not for Great Grey Shrike, but to hopefully catch up with a grebe or diver. It was quite a nice day, so there wasn't the usual freezing half to death that I've experienced in the past at Staines. 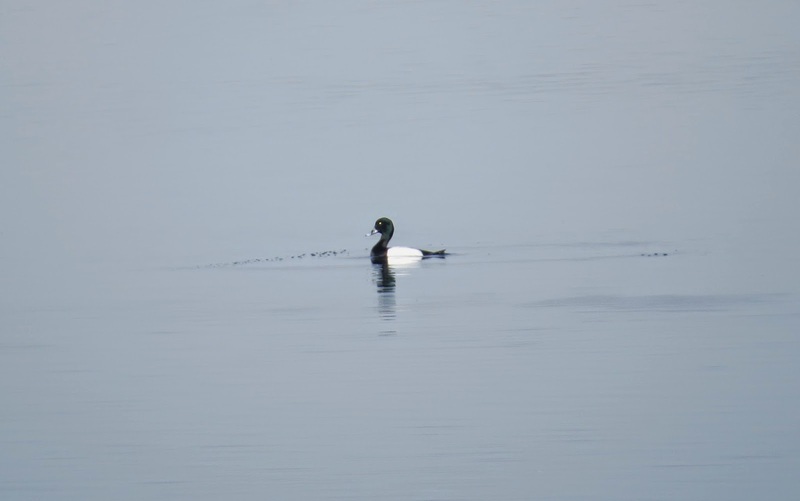 We spotted a lovely Scaup pretty quickly and behind it a Slavonian Grebe came into view, although this took a bit more squinting through the scope through heat haze to verify the ID. The Great Northern Diver politely showed itself also, sculling (do birds scull?) alongside the bank on the southern reservoir. This was my first time to Thursley Common, as although I'd heard about it a lot, I'd never actually made it there. We met up with a great guy and his awesome dog and set about looking. 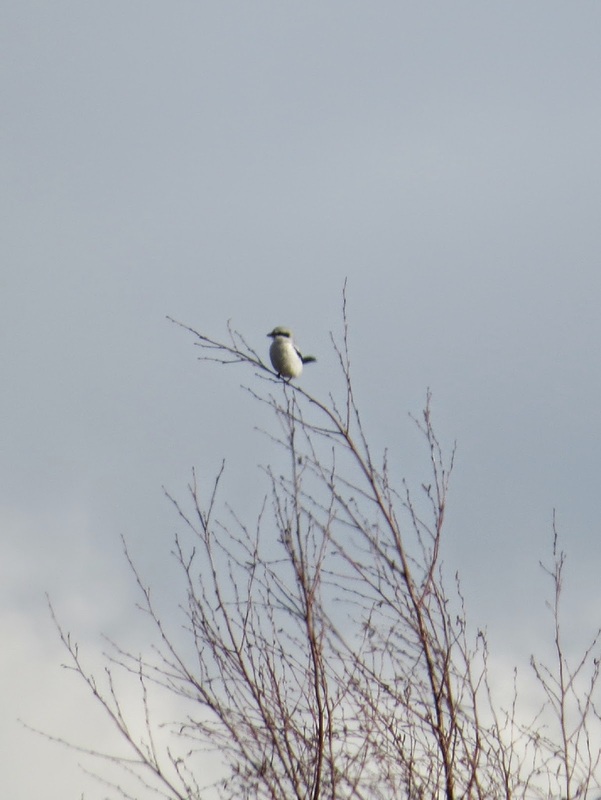 I spotted the massive Great Grey Shrike on a branch not far away and we had good views for quite a long time and the bird flitted about, sometimes out of view but always appearing again. Another gentleman who joined us pointed out the call of a Woodlark - we'd only ever seen these on one trip in Norfolk so we strained our eyes as much as possible but there was nothing to be seen. Heading back along the path to the car, I decided there was no way we were going to miss Woodlark - we'd already heard at least 3! I made Stuart stand and watch for what seemed like hours until he quietly called me over. A small Woodlark was just metres away, happily sunning itself. Amazing! We watched for quite a while and showed another birder who was also very excited! I'll definitely be heading back to Thursley Common again.